SpaceX has successfully landed its Falcon 9 rocket after delivering a payload of millions of dollars worth of satellites into orbit, less than four months after a similar mission was scuppered by a fiery explosion. 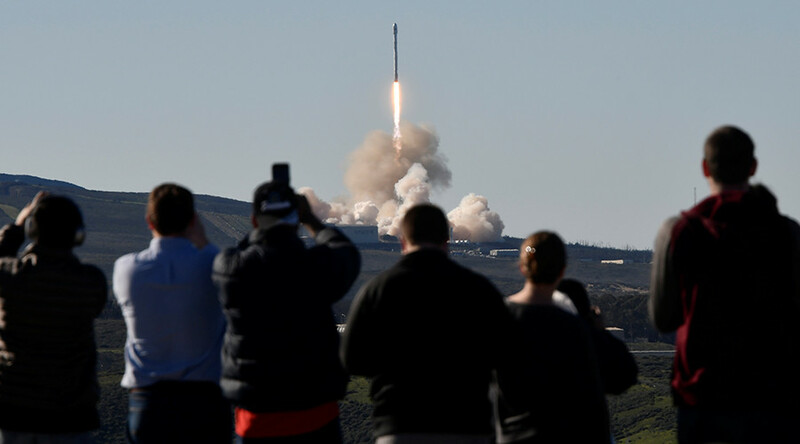 Consistently sending hardware into orbit is one of the chief goals of Elon Musk’s SpaceX, but Saturday’s launch was the first delivery mission since August 30 when things went pear-shaped. In the first stage of Saturday’s mission to and from low orbit, the Falcon 9 successfully carried a payload of 10 Iridium satellites into space from Vandenberg Air Base, California. Mission looks good. Started deploying the 10 Iridium satellites. Rocket is stable on the droneship. Iridium has since commented that all 10 satellites reached orbit without incident. The ill-fated launch in August of last year never got off the ground in Cape Canaveral, Florida, thanks to an explosion during fueling. The inferno resulted in the loss of a SpaceX rocket and a multimillion dollar Facebook satellite which was due to bring internet connectivity to parts of rural Europe, the Middle East and Africa. US company Iridium provide global voice and data communications via a network of 66 active satellites and are currently building a new satellite network dubbed Iridium NEXT. “The 10 satellites are the first of at least 70 satellites that SpaceX will be launching for Iridium’s next generation global satellite constellation,” a SpaceX statement said. After a Friday dress rehearsal before the launch, Iridium Chief Operating Officer Scott Smith alluded to the challenges facing both companies. “There are so many variables that need to be considered when finalizing launch preparations, and a slight deviation or unexpected behavior by any of them can jeopardize the launch integrity,” Smith said.